Learn more about measuring, recording and reporting inventories. Merchandising retailers and wholesalers use inventory costs to calculate the cost of goods sold as these are a major expense affecting net income and the balance sheet. In this accounting course learners are brought step-by-step through this process from the physical counting of goods, to the inclusion of costs such as transport or insurance, to the calculation on the value of the goods thereby connecting the cost of goods through to retained earnings and the balance sheet. 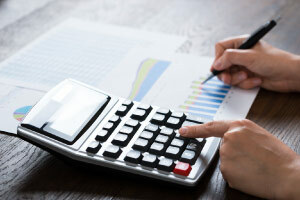 The different methods of apportioning costs to a stock item, such as FIFO and LIFO, are discussed and topics such as net realization or gross margin are explained and explored. The importance of having accurate inventory figures and the serious consequences of using inaccurate inventory figures is also explained. This accounting course will be of great interest to entrepreneurs and business professionals who would like to better understand how to allocate inventory costs flow for the wholesale and retail sectors, and to any learner who is interested in accounting as a future career. Analyze and use the financial results-inventory turnover ratio. THIS IS THE GREATEST SITE TO COMPLETE A COURSE. SINCE EVERYONE HAS RIGHTS TO KNOWLEDGE I WOULD WOULD RECOMMEND ALISON.COM.